It is as if the street art gods parted the clouds, shined down upon San Francisco and with a booming voice said,”Go forth and create“. Unless you have been sleeping or only use www.1AMSF.com as your source of information, we are sure you have heard about the emergence of (supposed) Banksy’s throughout the city. Great blogs like calibersf.com (follow Troy Holden‘s photos, he is always in the know) warholian.com, and laughingsquid.com have been really good at keeping us posted on the locations and discovery of these Banksy. On our day off on Monday (the gallery is closed Sundays and Mondays), we decided to cruise the city and see these for ourselves. Can we confirm that this are authentic Banksy? No but it was fun searching for them. Banksy on 9th and Howard. As of April 27th, this has already been messed around with by "Otter"(?). Also this past weekend, Oaktownart.com, a blog devoted to photographing public art, stumbled upon an actual TrustoCorp sign in Berkeley. TrustoCorp is known for putting up signs in public spaces depicting humor while also making a social commentary. These hand-painted signs can be found blending in with public signs on street poles and if you are paying attention, it will force you to do a double take. Also, if you want to own your very own TrustoCorp art piece to add to your collection, make sure that you are at 1:AM gallery on May 7th between 6-10pm for the opening of Graphic Attack!. It is never before seen, new original work (does that even make any sense?). So, the stars finally aligned. The weather was really nice and sunny for two consecutive days that fell on a weekend, Mear One was attending another YBCA event in the Bay Area, and we were ready to have him get down. With his buddies in tow, Roger Griffiths and Ricky, he got in to SF on Friday night, grubbed and proving his true dedication to the project, started the wall at 1:30am, Saturday morning. He picked up again on Sunday morning at 7:30am after partying until the break of dawn (5:30) and gifted another amazing piece of work to the city of San Francisco by the afternoon. This guy is a beast! 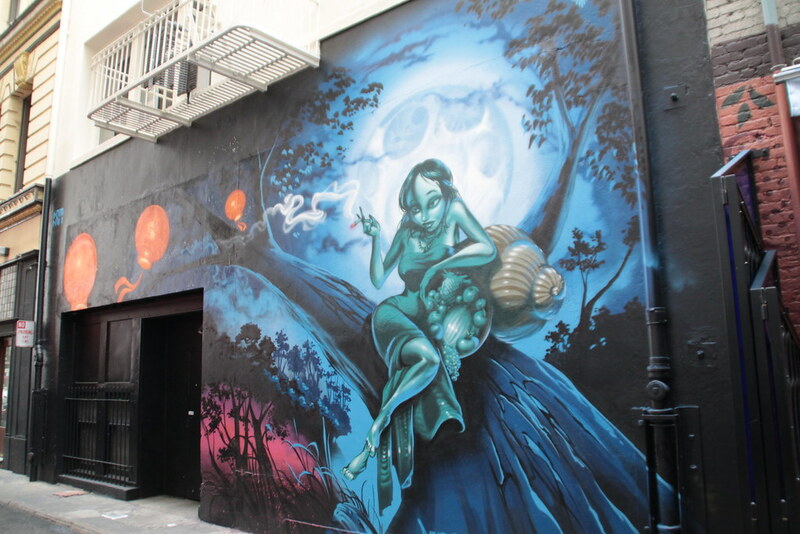 Mear One's gift to San Francisco. It turned out so f’in beautiful. To watch this man at work is absolutely an experience. 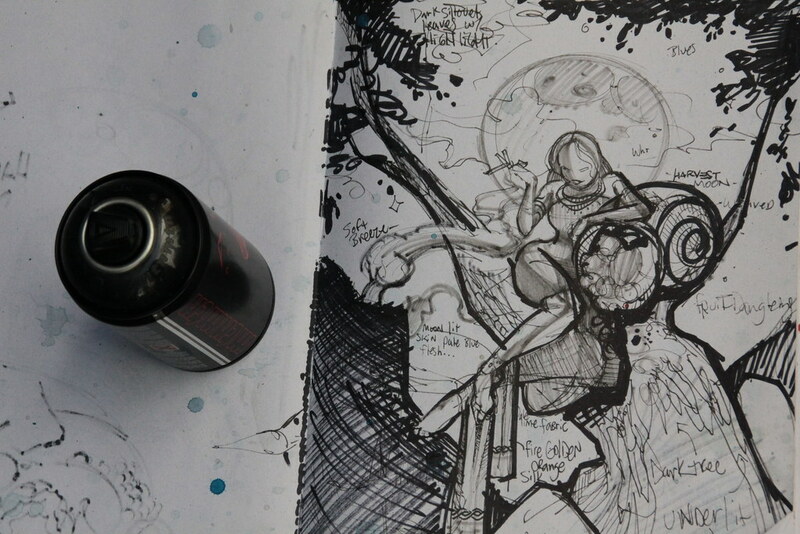 Mear One sure knows how to handle a spray can and how to get people lost in his world. When you see this piece of work, you too will be mesmerized. 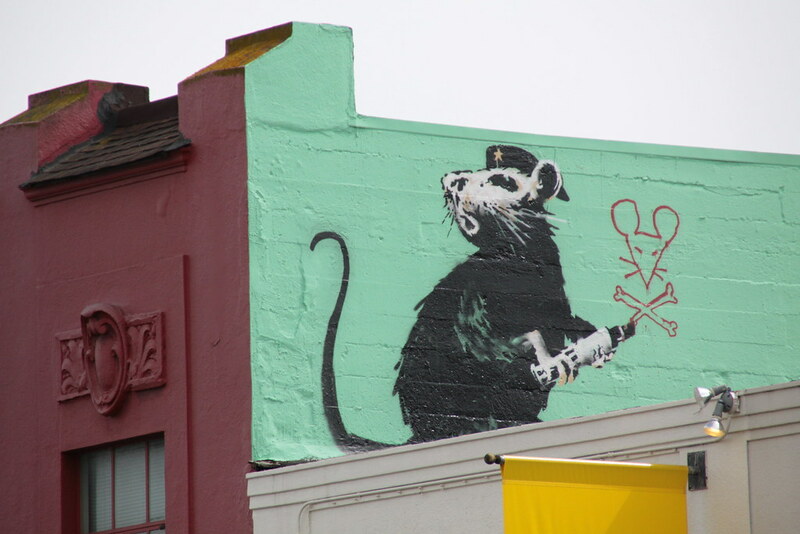 It was a good week for street art in San Francisco.